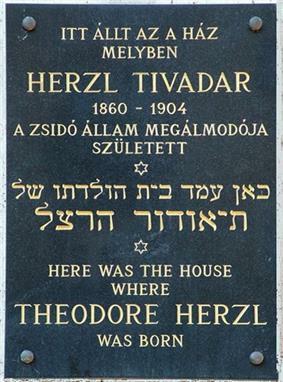 A plaque marking the birthplace of Theodor Herzl, Dohány Street Synagogue, Budapest. Theodor Herzl (Zionism. Herzl formed the World Zionist Organization and promoted Jewish migration to Israel in an effort to form a Jewish state. He was born in Pest, the eastern, mostly flat part of Budapest, Kingdom of Hungary (now Hungary), to a Jewish family originally from Zimony (today Zemun, Serbia). He was the second child of Jeanette and Jakob Herzl, who were German-speaking, assimilated Jews. He aspired to follow in the footsteps of Ferdinand de Lesseps, builder of the Suez Canal, but did not succeed in the sciences and instead developed a growing enthusiasm for poetry and the humanities. This passion later developed into a successful career in journalism and a less-celebrated pursuit of playwrighting. Even after becoming interested in the "Jewish question," Herzl's writing retained traces of "Jewish self-hatred". 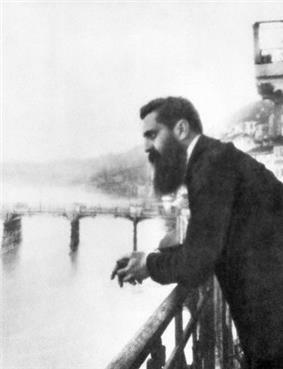 According to Amos Elon, Herzl considered himself to be an atheist. 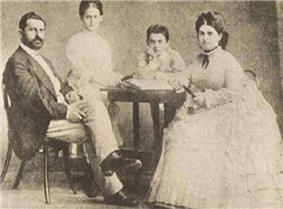 In 1878, after the death of his sister, Pauline, Herzl's family moved to Vienna, Austria-Hungary. In Vienna, Herzl studied law. Avineri, Shlomo. "Herzl's Diaries as a Bildungsroman", Jewish Social Studies, V/3, Spring-Summer 1999, pp. 1–46. Vital, David (April 1980). The Origins of Zionism (Paperback ed.). ^ David S. New (2013). Holy War. McFarland. ^ Theodor's father and grandfather were born in Zemun. See Loker, Zvi (2007). "Zemun". In Berenbaum, Michael; Skolnik, Fred. Encyclopedia Judaica 1 (2nd ed.). Detroit: Macmillan Reference. pp. 507–508. Retrieved 2013-11-01. ^ Elon, Amos (1975). Herzl, p.21-22, New York: Holt, Rinehart and Winston. ISBN 978-0-03-013126-4. ^ Elon, Amos (1975). Herzl, p. 23, New York: Holt, Rinehart and Winston. ISBN 978-0-03-013126-4. ^ M. Reich-Ranicki, Mein Leben, (München 2001, DTV GmbH & C0. - ISBN 3-423-12830-5), 64. ^ Rubenstein, Richard L., and Roth, John K. (2003). Approaches to Auschwitz: The Holocaust and Its Legacy, p. 94. Louisville. Kentucky: Westminster John Knox Press. ISBN 0-664-22353-2. By contrast, several months later ... Herzl was to offer a far different assessment of antisemitism in Austria, as a power and mainline movement on an upward course. Moreover, his fury over Austrian antisemitism had no parallel in his reaction to French antisemitism. ^ a b Jerry Klinger (July 2010). "Reverend William H. Hechler—The Christian minister who legitimized Theodor Herzl". Jewish Magazine. Retrieved 2011-10-26. ^ a b London Daily Mail Friday November 18, 1898 "An Eastern Surprise: Important Result of the Kaiser's Tour: Sultan and Emperor Agreed in Palestine: Benevolent Sanction Given to the Zionist Movement One of the most important results, if not the most important, of the Kaiser's visit to Palestine is the immense impetus it has given to Zionism, the movement for the return of the Jews to Palestine. The gain to this cause is the greater since it is immediate, but perhaps more important still is the wide political influence which this Imperial action is like to have. It has not been generally reported that when the Kaiser visited Constantinople, Dr. Herzl, the head of the Zionist movement, was there; again when the Kaiser entered Jerusalem, he found Dr. Herzl there. These were no mere coincidences, but the visible signs of accomplished facts." Herzl had achieved political legitimacy. ^ "Time Line". Herzl.org. Retrieved 2011-10-26. ^ "Theodor Herzl in Jerusalem, Just Prior to Meeting With German Emperor Wilhelm II...". Shapell Manuscript Foundation. Retrieved 26 October 2011. ^ Herzl had written in his diary of the necessity for world power recognition. March 11, 1896"
^ Ginsberg, Michael Peled; Ron, Moshe (June 2004). Shattered Vessels: Memory, Identity, and Creation in the Work of David Shahar. State University of New York Press. ^ Kaiser Wilhelm II had assured Herzl of his support for the Jewish protectorate under Germany when they had met privately in İstanbul a week earlier. By the time of their public meetings at Mikveh Israel and Jerusalem, the Kaiser had changed his mind. Herzl had thought he had failed. In the eyes of public opinion he had not. ^ Elon, Amos (1975). Herzl, pp. 400–1, New York: Holt, Rinehart and Winston. ISBN 978-0-03-013126-4. ^ 'Obituary', The Times, Thursday, July 7, 1904; p. 10; Issue 37440; col B. ^ Elon, Amos (1975). Herzl, p. 402, New York: Holt, Rinehart and Winston. ISBN 978-0-03-013126-4. ^ "Jewishvirtuallibrary.org". Jewishvirtuallibrary.org. Retrieved 2011-10-26. ^ L.C.M. van der Hoeven Leonhard, "Shlomo and David, Israel, 1907", in From Haven to Conquest, 1971, W. Khalidi (ed. ), pp. 118–19. ^ "European Jewish Congress – Serbia". Eurojewcong.org. 2007-03-16. Retrieved 2011-10-26. ^ "Theodor Herzl – Background". About Israel. Retrieved 2011-10-26. 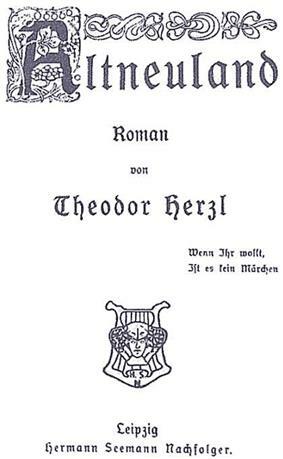 ^ Herzl, Theodor (1960). "Herzl Speaks: His Mind on Issues, Events and Men". Herzl Institute Pamphlet (New York: The Herzl Press) 16. I went ... to the synagogue [in Paris] and found the services once again solemn and moving. Much reminded me of my youth and the Tabakgasse synagogue in Pest. ^ Elon, Amos (1975). Herzl, p. 403, New York: Holt, Rinehart and Winston. ISBN 978-0-03-013126-4. ^ "Einstein on Theodor Herzl's Son, Hans' Conversion and Suicide". Shapell Manuscript Collection. SMF. ^ a b c Rabbi Ken Spiro (February 2, 2002). "Crash Course in Jewish History Part 63 - Modern Zionism". Aish HaTorah. Retrieved 2011-10-26. ^ "Goliath.exnext.com". Goliath.ecnext.com. Retrieved 2011-10-26. ^ Guttman, Nathan (August 29, 2007). "Jerusalem Plans a Hero's Burial to Long Deceased Grandson of Herzl". ^ Jerry Klinger, President of the Jewish American Society for Historic Preservation, was the principle organizer behind the five year reburial effort. ^ "Jewish-american-society-for-historic-preservation.org". Jewish American Society for Historic Preservation. 2007-12-05. Retrieved 2011-10-26. ^ "Brandeis.edu". Brandeis.edu. 2010-05-24. Retrieved 2011-10-26. ^ "Theodor Herzl 2004". The Department for Jewish Zionist Education. Retrieved 2009-08-08. ^ a b Balsam, Mashav. "Theodor Herzl: From the Theatre Stage to The Stage of Life". All About Jewish Theatre. Retrieved 2009-08-08. Amos Elon has also written The Israelis: Founders and Sons, and Jerusalem: City of Mirrors. His biography of Herzl is also a portrait of Europe at the end of the 19th century. The 1921 Austrian film Theodor Herzl directed by Otto Kreisler is a biopic of his life. He is portrayed by Ernst Bath. Das Neue Ghetto, drama in four acts, Vienna 1898. Herzl's only play with Jewish characters. "If you will it, it is no dream." a phrase from Herzl's book Old New Land, became a popular slogan of the Zionist movement—the striving for a Jewish National Home in Israel. "You will be amazed at the Jewish Youth in Palestine ... they have the look of freedom." On one of the walls of the garden, located between the Herzl Museum and the Herzl Educational Center, is a quote from Norman from when he visited Israel in 1946. The quote sums up the meaning of Zionism and Israel. 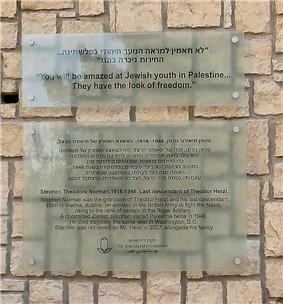 The Stephen Norman garden on Mount Herzl in Jerusalem – the only memorial in the world to a Herzl other than Theodor Herzl – was dedicated on May 2, 2012 by the Jerusalem Foundation, the World Zionist Organization and the Jewish American Society for Historic Preservation. 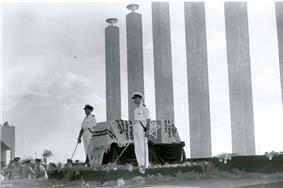 On December 5, 2007, sixty-one years after his death, he was reburied with his family on Mt. Herzl, in the Plot for Zionist Leaders. 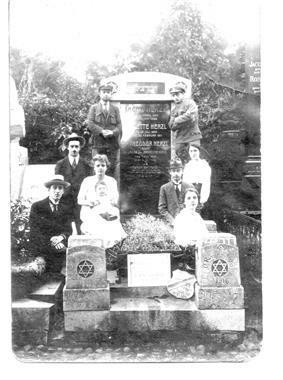 Norman was buried by the Jewish Agency in Washington, D.C. His tombstone read simply, 'Stephen Theodore Norman, Captain Royal Artillery British Army, Grandson of Theodor Herzl, April 21, 1918 − November 26, 1946'. Norman was the only member of Herzl's family to have been a Zionist, been to Israel and openly stated his desire to return. Norman secured, through influence, a desirable but minor position with the British Economic and Scientific Mission in Washington, D.C. In late August 1946, shortly after arriving in Washington, he learned that his family had perished. Norman had re-established contact with his old nanny in Vienna, Wuth, who told him what happened. Norman became deeply depressed over the fate of his family and his inability to help the Jewish people "languishing" in the European camps. Unable to endure his suffering any further, he jumped to his death from the Massachusetts Avenue Bridge in Washington, D.C. on November 26, 1946. Demobilized from the British army in late spring 1946, without money or job and despondent about his future, Norman followed the advice of Dr. Selig Brodetsky. Dr. H. Rosenblum, the editor of Haboker, a Tel Aviv daily that later became Yediot Aharonot, noted in late 1945 that Dr. Weizmann deeply resented the sudden intrusion and reception of Norman when he arrived in Britain. Norman spoke to the Zionist conference in London. Haboker reported, "Something similar happened at the Zionist conference in London. The Chairman suddenly announced to the meeting that in the hall there was Herzl's grandson who wanted to say a few words. The introduction was made in an absolutely dry and official way. It was felt that the chairman looked for – and found – some stylistic formula which would satisfy the visitor without appearing too cordial to anybody among the audience. In spite of that there was a great thrill in the hall when Norman mounted on the platform of the praesidium. At that moment, Dr. Weizmann turned his back on the speaker and remained in this bodily and mental attitude until the guest had finished his speech." (From Haboker 10-26-1945. Document amongst the papers of Stephen Norman at the Central Zionist Archives in Jerusalem.) The 1945 article went on to note that Norman was snubbed by Weizmann and by some in Israel during his visit because of ego, jealousy, vanity and their own personal ambitions. Brodetsky was Chaim Weizman's principal ally and supporter in Britain. He never did return to Israel. Operation Agatha of June 29, 1946, precluded that possibility: British military and police fanned out throughout Israel and arrested Jewish activists. About 2,700 individuals were arrested. On July 2, 1946, Norman wrote to Mrs. Stybovitz-Kahn in Haifa. Her father, Jacob Kahn, had been a good friend of Herzl and a well-known Dutch banker before the war. Norman wrote, "I intend to go to Israel on a long visit in the future, in fact as soon as passport & permit regulations permit. But the dreadful news of the last two days have done nothing to make this easier." Norman planned to return to Israel following his military discharge. The Zionist Executive had worked for years through Dr. L. Lauterbach to get Norman to come to Israel as a symbol of Herzl's returning. At the request of his father Richard Neumann, Trude's son (Herzl's only grandchild), Stephan Theodor Neumann, (1918–1946) was sent for his safety to England in 1935 to the Viennese Zionists and the Zionist Executive in Israel based there . The Neumanns deeply feared for the safety of their only child as rabid Austrian anti-Semitism expanded. In England he read extensively about his grandfather. Zionism had not been a significant part of his background in Austria, but Stephan became an ardent Zionist, He was the only descendant of Theodor Herzl to have become one. Anglicizing his name to Stephen Norman, during World War II, Norman enlisted in the British Army rising to the rank of Captain in the Royal Artillery. In late 1945 and early 1946 he took the opportunity to visit the British Mandate of Palestine "to see what my grandfather had started." He wrote in his diary extensively about his trip. What most impressed him was the "look of freedom" on the faces of the children, which were not like the sallow look of those from the concentration camps of Europe. He wrote upon leaving Israel, "My visit to Israel is over. ... It is said that to go away is to die a little. And I know that when I went away from Erez Israel, I died a little. But sure, then, to return is somehow to be reborn. And I will return." Paulina and Hans had little contact with their young sister, "Trude" (Margarethe, 1893–1943). She married Richard Neumann, a man 17 years her elder. Neumann lost his fortune in the Great Depression. Burdened by the steep costs of hospitalizing Trude, who suffered from severe bouts of depressive illness that required repeated hospitalization, the Neumanns' financial life was precarious. The Nazis sent Trude and Richard to the Theresienstadt concentration camp where they died. Her body was burned. (Her mother, who died in 1907, was cremated. Her ashes were lost by accident). In 2006 the remains of Paulina and Hans were moved from Bordeaux, France, and reburied not far from their father on Mt. Herzl. "A Jew remains a Jew, no matter how eagerly he may submit himself to the disciplines of his new religion, how humbly he may place the redeeming cross upon his shoulders for the sake of his former coreligionists, to save them from eternal damnation: a Jew remains a Jew. ... I can't go on living. I have lost all trust in God, All my life I've tried to strive for the truth, and must admit today at the end of the road that there is nothing but disappointment. Tonight I have said Kaddish for my parents--and for myself, the last descendant of the family. There is nobody who will say Kaddish for me, who went out to find peace--and who may find peace soon. ... My instinct has latterly gone all wrong, and I have made one of those irreparable mistakes, which stamp a whole life with failure. Then it is best to scrap it." Hans left a suicide note explaining his reasons. His only son Hans was given a secular upbringing and Herzl notably refused to allow him to be circumcised. After Herzl's early death, Hans successively converted and became a Baptist, then a Catholic, and flirted with other Protestant denominations. He sought a personal salvation for his own religious needs and a universal solution, as had his father, to Jewish suffering caused by anti-Semitism. Hans shot himself to death on the day of his sister Paulina's funeral; he was 39 years old. His daughter Paulina suffered from mental illness and drug addiction. She died in 1930 at the age of 40 of a heroin overdose. In June 25, 1889, he married Julie Naschauer, daughter of a wealthy Jewish businessman in Vienna. The marriage was unhappy, although three children were born to it: Paulina, Hans and Margaritha (Trude). 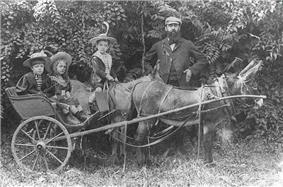 Herzl and Julie declined to have their son Hans circumcised. Herzl had a strong attachment to his mother, who was unable to get along with his wife. These difficulties were increased by the political activities of his later years, in which his wife took little interest. Jakob Herzl (1836–1902), Herzl's father, was a highly successful businessman. 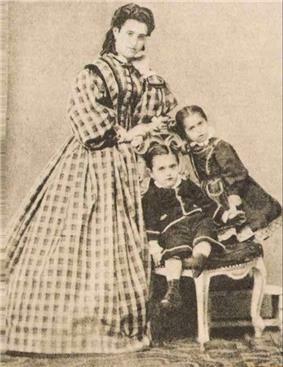 Herzl had one sister, Pauline, a year older than he was, who died suddenly on February 7, 1878, of typhus. Theodor lived with his family in a house next to the Dohány Street Synagogue (formerly known as Tabakgasse Synagogue) located in Belváros, the inner city of the historical old town of Pest, in the eastern section of Budapest. The remains of Herzl's parents and sister were re-buried on Mount Herzl in Jerusalem. Herzl's grandfathers, both of whom he knew, were more closely related to traditional Judaism than were his parents. In Zemun (Zemlin), his grandfather Simon Loeb Herzl "had his hands on" one of the first copies of Judah Alkalai's 1857 work prescribing the "return of the Jews to the Holy Land and renewed glory of Jerusalem". Contemporary scholars conclude that Herzl's own implementation of modern Zionism was undoubtedly influenced by that relationship. Herzl's grandparents' graves in Semlin can still be visited. Alkalai himself witnessed the rebirth of Serbia from Ottoman rule in the early and mid-19th century and was inspired by the Serbian uprising and subsequent re-creation of Serbia. The name "Tel Aviv" was the title given to the Hebrew translation of Altneuland by the translator, Nahum Sokolow. This name comes from Ezekiel 3:15 and means tell—an ancient mound formed when a town is built on its own debris for thousands of years—of spring. The name was later applied to the new town built outside Jaffa that became Tel Aviv-Yafo the second-largest city in Israel. The nearby city to the north, Herzliya, was named in honor of Herzl. "When we occupy the land, we shall bring immediate benefits to the state that receives us. We must expropriate gently the private property on the estates assigned to us. We shall try to spirit the penniless population across the border by procuring employment for it in the transit countries, while denying it any employment in our country. The property owners will come over to our side. Both the process of expropriation and the removal of the poor must be carried out discretely and circumspectly ... It goes without saying that we shall respectfully tolerate persons of other faiths and protect their property, their honor, and their freedom with the harshest means of coercion. This is another area in which we shall set the entire world a wonderful example ... Should there be many such immovable owners in individual areas [who would not sell their property to us], we shall simply leave them there and develop our commerce in the direction of other areas which belong to us", The Complete Diaries of Theodor Herzl, vol. 1 (New York: Herzl Press and Thomas Yoseloff, 1960), pp. 88, 90 hereafter Herzl diaries. In Altneuland, Herzl did not foresee any conflict between utopian socialist thinking. Women would have equal voting rights—as they had in the Zionist movement from the Second Zionist Congress onwards. Herzl envisioned a Jewish state that combined modern Jewish culture with the best of the European heritage. Thus a "Palace of Peace" would be built in Jerusalem to arbitrate international disputes, and at the same time the Temple would be rebuilt on modern principles. Herzl did not envision the Jewish inhabitants of the state as being religious, but there was respect for religion in the public sphere. He also assumed that many languages would be spoken, and that Hebrew would not be the main tongue. Proponents of a Jewish cultural rebirth, such as Ahad Ha'am, were critical of Altneuland. His last literary work, Altneuland (in English: The Old New Land, 1902), is a novel devoted to Zionism. Herzl occupied his free time for three years in writing what he believed might be accomplished by 1923. Though the form is that of a romance, It is less a novel than a serious forecast of what could be done within one generation. The keynotes of the story are love of Zion and insistence upon the fact that the suggested changes in life are not utopian but to be brought about simply by grouping all the best efforts and ideals of every race and nation. Each such effort is quoted and referred to in such a manner as to show that Altneuland, though blossoming through the skill of the Jew, will in reality be the product of the benevolent efforts of all the members of the human family. "Let me repeat once more my opening words: The Jews who will it shall achieve their State. We shall live at last as free men on our own soil, and in our own homes peacefully die. The world will be liberated by our freedom, enriched by our wealth, magnified by our greatness. And whatever we attempt there for our own benefit will redound mightily and beneficially to the good of all mankind." "Israel is our unforgettable historic homeland ..."
"Wherever we remain politically secure for any length of time, we assimilate. I think this is not praiseworthy ..."
"Oppression and persecution cannot exterminate us. No nation on earth has endured such struggles and sufferings as we have. Jew-baiting has merely winnowed out our weaklings; the strong among us defiantly return to their own whenever persecution breaks out ..."
"We have sincerely tried everywhere to merge with the national communities in which we live, seeking only to preserve the faith of our fathers. It is not permitted us. In vain are we loyal patriots, sometimes superloyal; in vain do we make the same sacrifices of life and property as our fellow citizens; in vain do we strive to enhance the fame of our native lands in the arts and sciences, or her wealth by trade and commerce. In our native lands where we have lived for centuries we are still decried as aliens, often by men whose ancestors had not yet come at a time when Jewish sighs had long been heard in the country ..."
"We are a people—one people. "I consider the Jewish question neither a social nor a religious one, even though it sometimes takes these and other forms. It is a national question, and to solve it we must first of all establish it as an international political problem to be discussed and settled by the civilized nations of the world in council. "It depends on the Jews themselves whether this political document remains for the present a political romance. If this generation is too dull to understand it rightly, a future, finer, more advanced generation will arise to comprehend it. The Jews who will try it shall achieve their State; and they will deserve it ..."
"The plan would seem mad enough if a single individual were to undertake it; but if many Jews simultaneously agree on it, it is entirely reasonable, and its achievement presents no difficulties worth mentioning. The idea depends only on the number of its adherents. Perhaps our ambitious young men, to whom every road of advancement is now closed, and for whom the Jewish state throws open a bright prospect of freedom, happiness, and honor, perhaps they will see to it that this idea is spread ..."
"The decisive factor is our propelling force. And what is that force? The plight of the Jews. ... I am profoundly convinced that I am right, though I doubt whether I shall live to see myself proved so. Those who today inaugurate this movement are unlikely to live to see its glorious culmination. But the very inauguration is enough to inspire in them a high pride and the joy of an inner liberation of their existence ..."
"The idea I have developed in this pamphlet is an ancient one: It is the restoration of the Jewish State ..."
Herzl's solution was the creation of a Jewish state. In the book he outlined his reasoning for the need to reestablish the historic Jewish state. Beginning in late 1895, Herzl wrote Der Judenstaat (The Jewish State). The small book was initially published February 14, 1896, in Leipzig, Germany, and Vienna, Austria, by M. Breitenstein's Verlags-Buchhandlung. 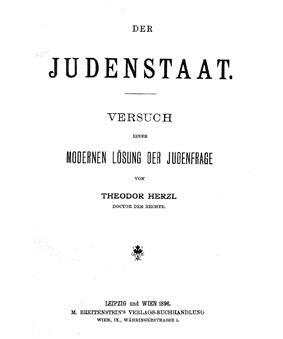 It is subtitled "Versuch einer modernen Lösung der Judenfrage", ("Proposal of a modern solution for the Jewish question"). Der Judenstaat proposed the structure and beliefs of what political Zionism was. In 1949, his remains were moved from Vienna to be reburied on the top of Mount Herzl in Jerusalem that carried his name. His will stipulated that he should have the poorest-class funeral without speeches or flowers and he added, "I wish to be buried in the vault beside my father, and to lie there till the Jewish people shall take my remains to Israel". Nevertheless, some six thousand followed Herzl's hearse, and the funeral was long and chaotic. Despite Herzl's request that no speeches be made, a brief eulogy was delivered by David Wolffsohn. Hans Herzl, then thirteen, read the kaddish. Herzl did not live to see the rejection of the Uganda plan. 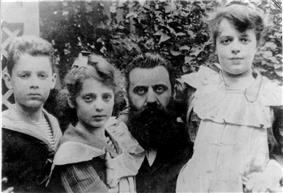 At 5 p.m. July 3, 1904, in Edlach, a village inside Reichenau an der Rax, Lower Austria, Theodor Herzl, having been diagnosed with a heart issue earlier in the year, died of cardiac sclerosis. A day before his death, he told the Reverend William H. Hechler: "Greet Palestine for me. I gave my heart's blood for my people." First Grave of Theodor Herzl in the cemetery of Döbling (German: Döblinger Friedhof), Vienna, Austria ). In 1905, after investigation, the Congress decided to decline the British offer and firmly committed itself to a Jewish homeland in Palestine. After the failure of that scheme, which took him to Cairo, he received, through L. J. Greenberg, an offer (August 1903) from the British government to facilitate a large Jewish settlement, with autonomous government and under British suzerainty, in British East Africa. At the same time, the Zionist movement was threatened by the Russian government. He accordingly visited St. Petersburg and was received by Sergei Witte, then finance minister, and Viacheslav Plehve, minister of the interior, the latter placing on record the attitude of his government toward the Zionist movement. On that occasion Herzl submitted proposals for the amelioration of the Jewish position in Russia. He published the Russian statement, and brought the British offer, commonly known as the "Uganda Project", before the Sixth Zionist Congress (Basel, August 1903), carrying the majority (295:178, 98 abstentions) with him on the question of investigating this offer, after the Russian delegation stormed out. In 1903, Herzl attempted to obtain support for the Jewish homeland from Pope Pius X. Cardinal Rafael Merry del Val explained to him the Church's policy of non possumus on such matters, saying that as long as the Jews denied the divinity of Christ, the Church could not make a declaration in their favor. In 1902–03, Herzl was invited to give evidence before the British Royal Commission on Alien Immigration. His appearance brought him into close contact with members of the British government, particularly with Joseph Chamberlain, then secretary of state for the colonies, through whom he negotiated with the Egyptian government for a charter for the settlement of the Jews in Al 'Arish in the Sinai Peninsula, adjoining southern Palestine. Herzl visited Jerusalem for the first time in October 1898. He deliberately coordinated his visit with that of Wilhelm II to secure what he thought had been prearranged with the aid of Rev. William Hechler, public world power recognition of himself and Zionism. Herzl and Wilhelm II first met publicly on October 29, at Mikveh Israel, near present-day Holon, Israel. It was a brief but historic meeting. He had a second formal, public audience with the emperor at the latter's tent camp on Street of the Prophets in Jerusalem on November 2, 1898. In 1897, at considerable personal expense, he founded Die Welt of Vienna, Austria-Hungary, and planned the First Zionist Congress in Basel, Switzerland. He was elected president (a position he held until his death in 1904), and in 1898 he began a series of diplomatic initiatives to build support for a Jewish country. He was received by Wilhelm II on several occasions, one of them in Jerusalem, and attended the Hague Peace Conference, enjoying a warm reception from many statesmen there. Returning from İstanbul, Herzl traveled to London to report back to the Maccabeans, a proto-Zionist group of established English Jews led by Colonel Albert Goldsmid. In November 1895 they received him with curiosity, indifference and coldness. Israel Zangwill bitterly opposed Herzl, but after İstanbul Goldsmid agreed to support Herzl. In London's East End, a community of primarily Yiddish speaking recent Eastern European Jewish immigrants, Herzl addressed a mass rally of thousands on July 12, 1896 and was received with acclaim. They granted Herzl the mandate of leadership for Zionism. Within six months this mandate had been expanded throughout Zionist Jewry. The Zionist movement grew rapidly. Five years later, May 17, 1901, Herzl did meet with Sultan Abdulhamid II, but the Sultan refused Theodor Herzl's offer to consolidate the Ottoman debt in exchange for a charter allowing the Zionists access to Palestine. In İstanbul, Ottoman Empire, June 15, 1896, Herzl saw an opportunity. With the assistance of Count Filip Michał Newleński (Philip Michael Nevlenski), a sympathetic Polish émigré with political contacts in the Ottoman Court, Herzl attempted to meet Sultan Abdulhamid II in order to present his solution of a Jewish State to the Sultan directly. He failed to obtain an audience but did succeed in visiting a number of highly placed individuals, including the Grand Vizier, who received him as a journalist representing the Neue Freie Presse. Herzl presented his proposal to the Grand Vizier: the Jews would pay the Turkish foreign debt and attempt to help regulate Turkish finances if they were given Palestine as a Jewish homeland under Turkish rule. 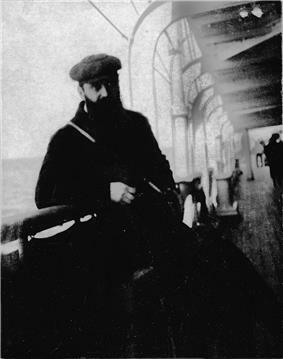 Prior to leaving İstanbul, June 29, 1896, Newleński obtained for Herzl a symbolic medal of honor. The medal, the "Commander's Cross of the Order of the Medjidie", was a public relations affirmation for Herzl and the Jewish world of the seriousness of the negotiations. 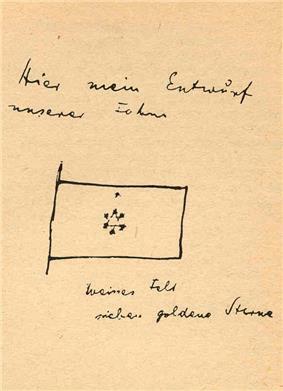 A sketch in Herzl's Diary of a proposed flag for the Zionist movement. In May 1896, the English translation of Der Judenstaat appeared in London as The Jewish State. Herzl had earlier confessed to his friend Max Bodenheimer that he "wrote what I had to say without knowing my predecessors, and it can be assumed that I would not have written it [Der Judenstaat] had I been familiar with the literature". On March 10, 1896, Herzl was visited by Reverend William Hechler, the Anglican minister to the British Embassy. Hechler had read Herzl's Der Judenstaat, and the meeting became central to the eventual legitimization of Herzl and Zionism., Herzl later wrote in his diary, "Next we came to the heart of the business. I said to him: (Theodor Herzl to Rev. William Hechler) I must put myself into direct and publicly known relations with a responsible or non responsible ruler – that is, with a minister of state or a prince. Then the Jews will believe in me and follow me. The most suitable personage would be the German Kaiser." Hechler arranged an extended audience with Frederick I, Grand Duke of Baden, in April, 1896. The Grand Duke was the uncle of the German Emperor Wilhelm II. Through the efforts of Hechler and the Grand Duke, Herzl publicly met Wilhelm II in 1898. The meeting significantly advanced Herzl's and Zionism's legitimacy in Jewish and world opinion. Herzl began to energetically promote his ideas, continually attracting supporters, Jewish and non-Jewish. According to Norman Rose, Herzl "mapped out for himself the role of martyr ... as the Parnell of the Jews". 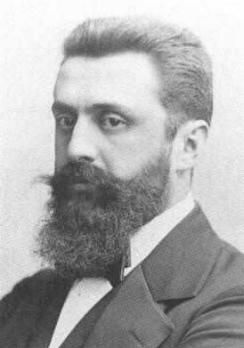 Beginning in late 1895, Herzl wrote Der Judenstaat (The Jewish State). It was published February 1896 to immediate acclaim and controversy. In the book he outlined reasons for the Jewish people to leave Europe, should they desire, either for Argentina or for their historic homeland, Palestine, which he seemed to prefer. Herzl believed that the Jews possessed a nationality and all they were missing was a nation with a political structure of their own. He also believed that the only way to avoid anti-Semitism was for Jewish people to have their own state and be able to practice their culture and religion freely. The book and Herzl's ideas spread rapidly throughout the Jewish world and attracted international attention. Supporters of existing Zionist movements such as the Hovevei Zion were immediately drawn to, and allied with, Herzl. Conversely, Herzl and his ideas were vilified by establishment Jewry, whose followers perceived his ideas both as threatening their efforts toward acceptance and integration in their resident countries and as rebellion against the will of God. There is, however, some debate on the extent to which Herzl was really influenced by the Dreyfus Affair. Some, such as Kornberg, claim that this is a myth that Herzl did not feel necessary to deflate, and that he also believed that Dreyfus was guilty. In June 1895 he wrote in his diary: "In Paris, as I have said, I achieved a freer attitude toward anti-Semitism... Above all, I recognized the emptiness and futility of trying to 'combat' anti-Semitism." However, in recent decades historians have downplayed the influence of the Dreyfus Affair on Herzl, even terming it a myth. They have shown that, while upset by anti-Semitism evident in French society, he, like most contemporary observers, initially believed in Dreyfus's guilt and only claimed to have been inspired by the affair years later when it had become an international cause celebre. Rather, it was the rise to power of the anti-Semitic demagogue Karl Lueger in Vienna in 1895 that seems to have had a greater effect on Herzl, before the pro-Dreyfus campaign had fully emerged. It was at this time that he wrote his play "The New Ghetto", which shows the ambivalence and lack of real security and equality of emancipated, well-to-do Jews in Vienna. Around this time Herzl grew to believe that anti-Semitism could not be defeated or cured, only avoided, and that the only way to avoid it was the establishment of a Jewish state. After a brief legal career in the University of Vienna and Salzburg, he devoted himself to journalism and literature, working as a journalist for a Viennese newspaper and a correspondent for Neue Freie Presse, in Paris, occasionally making special trips to London and Istanbul. He later became literary editor of Neue Freie Presse, and wrote several comedies and dramas for the Viennese stage. His early work did not focus on Jewish life. It was of the feuilleton order, descriptive rather than political.